Clinical psychologist, Dr. Baker, shares information and inspiration about overcoming self-doubt and effectively handling stress to help you increase your confidence, own who you are and thrive. We can improve our relationship with ourselves through investing our energy in being our own best friend instead of worst critic. Go Friend Your Self! This podcast is for informational purposes only and is not a substitute for medical advice, diagnosis, or treatment. 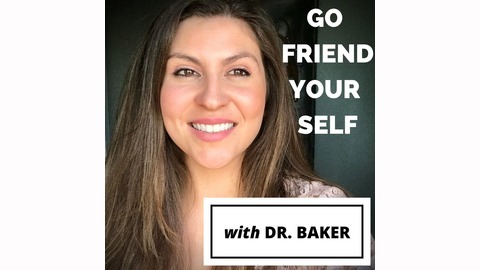 A note from Dr. Baker about the Go Friend Your Self podcast, the journey so far, and how to stay in touch. Stay connected by visiting www.GoFriendYourSelfDoc.com and sharing your email on that site to stay updated and in touch. Thank you! If you enjoy this podcast and you'd like to give back to it then click the Donate button at GoFriendYourSelfDoc.com. Thank you! 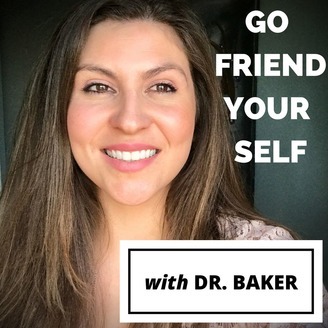 Stay connected with Dr. Baker at: www.GoFriendYourSelfDoc.com Follow Dr. Baker on Twitter: @DrBakerPhD Check out her Instagram at: GoFriendYourSelfDoc Follow on Facebook: www.facebook.com/GoFriendYourSelf Recommending this podcast to others and providing ratings and reviews is always greatly appreciated! Thank you for listening.